The Jaguar XE Project 8 is the most powerful road legal Jaguar in history, able to reach a maximum speed of 200mph and go from 0 to 60mph in just 3.3 seconds. The 8-speed transmission can manually paddle shift faster than the blink of an eye. Prototype versions of this most-impressive sedan have achieved Jaguar’s fastest ever lap on the famous Nürburgring Nordschleife track, beating the records of many renowned supercars. 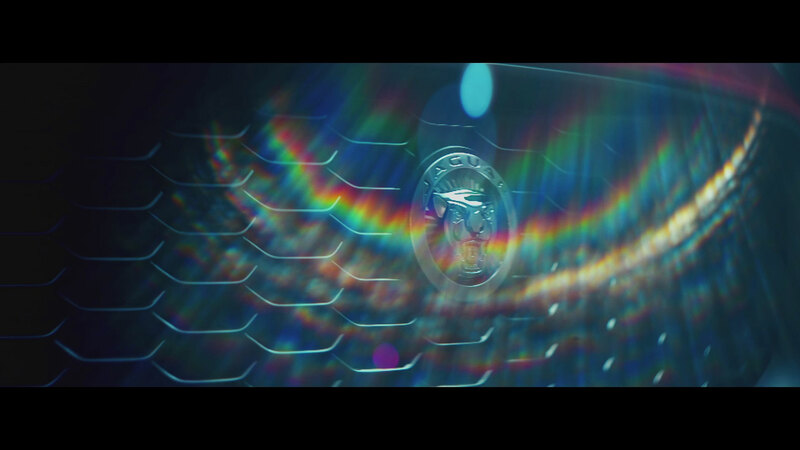 So, when Spark 44, Jaguar Land Rover’s dedicated agency wanted to see if a visual artist could match the speed and performance of the Project 8, they commissioned Loveurope and Partners (LEAP) to put one to the test. 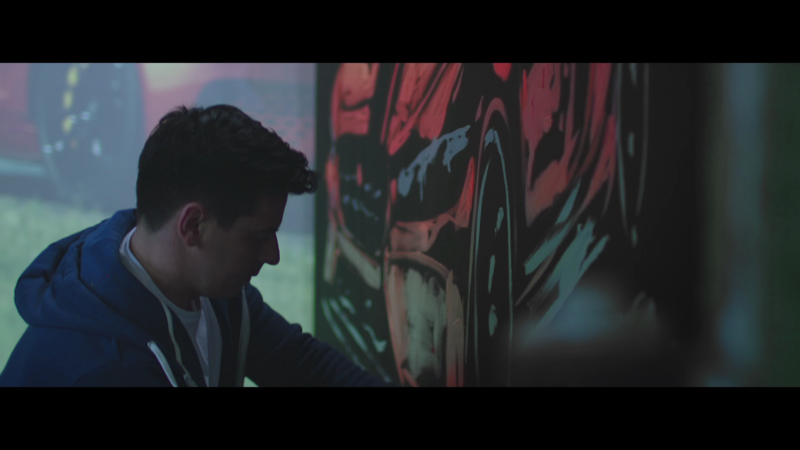 The brief was three-fold: commission an artist capable of producing a finished portrait of the car within the 7 minutes 21 seconds (7:21.23) that the prototype took to complete its famous lap. Capture this visual race against time to create an engaging social media marketing video. Finally, produce a limited-edition fine art print run for Jaguar XE Project 8’s prospective owners. Our creative producers and artist reps secured the talents of Dave Sharp, a professional speed painter who theatrically paints with two brushes and has completed more than 200 paintings of celebrities, movie characters, products and brands for live-televised audiences around the world. Meanwhile, our film and post production team set out to capture the performance artist’s attempt to paint the Project 8 within the speedy lap time. We created a storyboard of how best to bring the story to life, and once approved by Spark44, our film crew got to work. We produced a multi-camera shoot in a Colwyn Bay hangar set up as an impromptu artist’s studio using the Arri Amira and its cinematic lenses as well as the nimble Canon C300. This provided our editors with a mixture of real-time footage, high-speed frame rates and roving, hand-held shots to heighten the energetic atmosphere. 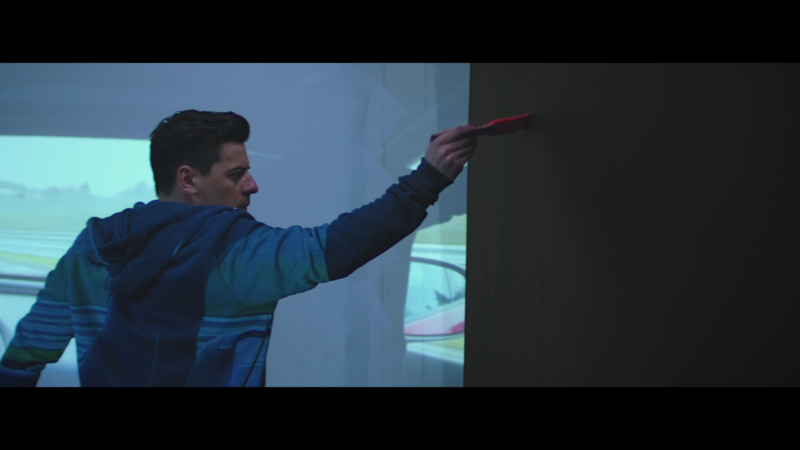 To really set the stage for our car vs artist race, we sourced a 13,000-lumen projector and used it to display selected track footage onto the studio wall. 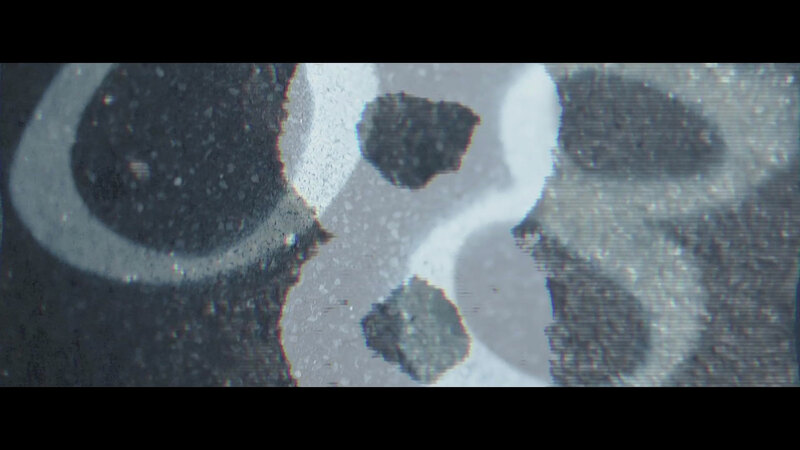 Finally, our in-house post production specialists edited as well as colour-graded the final film. 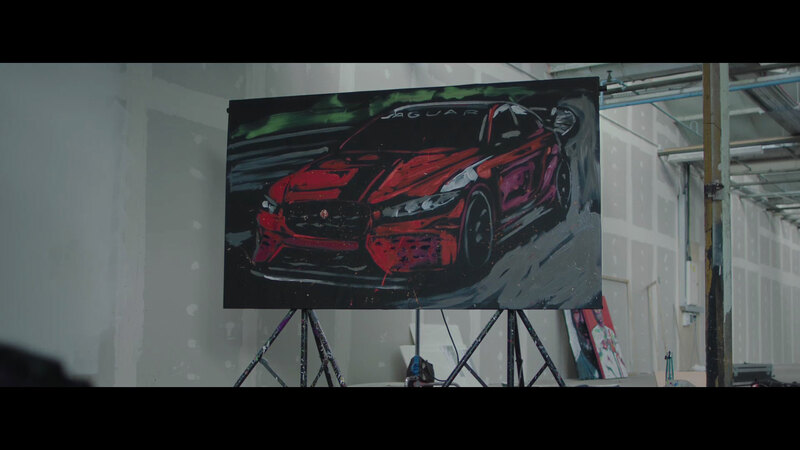 If no Jaguar feels more alive than the Project 8, then our film of the artist’s dynamic painting made it feel like he really was driving the car with his art. Project 8 owners can relish the thrill of the high-performance vehicle on the road, and when they’re not driving, they can enjoy their limited-edition portrait of the thrilling sports saloon.